SEM is committed to create a global community on campus. International exchange and cooperation has always been SEM’s most prominent characteristics. Currently, SEM has partnered with more than 80 prestigious universities/institutions in 26 countries around the world and establishes a wide range of international cooperation. SEM encourages high level academic faculty and student exchange. Exchange has been carried out at all levels of programs. Every year SEM receives more than 500 international students and is one of the most popular university locations in China, rendering students a unique and vibrant ambiance in terms of culture, living, study, and sport facilities. The international candidates shall be officially registered as students at their home institution, and are pursuing their degree at the home institution. In order to be accepted to Tongji SEM as an exchange student on free-of-tuition basis, students must first contact the International Relations Office at your home university to learn the conditions of applying to the Exchange Programs. Tongji SEM will not accept you as an exchange student unless you are nominated by the International Office at your home university. Students will receive detailed application guides from our program managers after successful nomination. Students should send the generated Online Application PDF to SEM coordinator via email for preliminary review. *There are limited seats for applicants as free movers. Students as Free-Movers or students from partner universities on tuition fee paying basis should make the remittance of application fee (RMB 410) to TONGJI University. The application fee is non-refundable regardless of the final admission results. 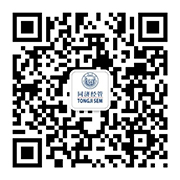 After the admission, students should pay for the required Tuition Fee to Tongji SEM.